Michael Mirdad is a world-renowned spiritual teacher, healer, mystic, and author. He has worked as an intuitive healer and counselor for over 35 years and is the author of the best-selling books Healing the Heart & Soul, Creating Fulfilling Relationships, The Heart of a Course in Miracles, and You’re Not Going Crazy…You’re Just Waking Up! Michael has facilitated thousands of classes, lectures, and workshops throughout the world on Spiritual Mastery, Spirituality, Relationships, and Healing and is commonly referred to as a “teacher’s teacher” and a “healer’s healer.” He has been featured as a keynote speaker in the world’s largest expos and conferences and has been on radio, television, and various internet and tele-summit programs. 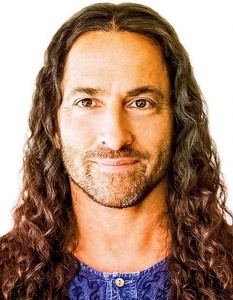 His work has been published in several leading magazines, including Sedona Journal, Conscious Life Journal, and Yoga Journal, as well as being the cover feature several times in Evolve magazine. Michael Mirdad is respected as one of the finest and most diverse healers of our time and is well-known for his ability to share the deepest spiritual teachings in a clear, applicable manner. For more information visit his website: MichaelMirdad.com or go to his public Facebook page.